Elkagorasa the Casual: Hi Dreadsteed, What's happening? 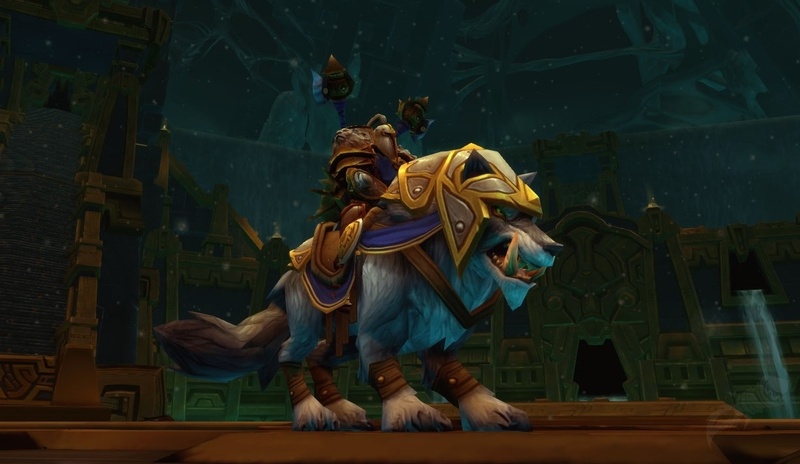 Sure, it's a beautiful mount, it flies, it has flaming feet, but personally it cannot compete with my dreadsteed. This is the original, epic, flaming mount. 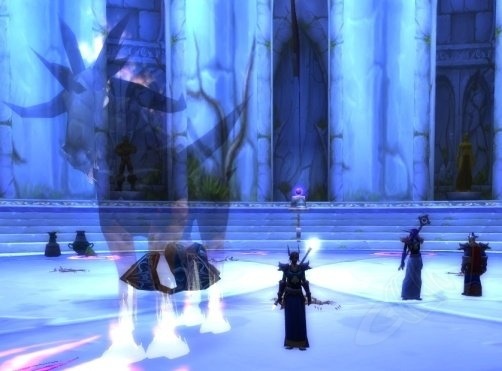 As you all know only warlocks, the masters over the demons, can ever acquire this mount. In the old days, it wasn't simply acquired for a few gold from the local trainer. When I got him, you had to actually pull them from their home planet of Xoroth, and beat them into submission, simply to earn their trust. The whole incident in the Lounge reminded me of a dream that I had soon after I had tamed and was linked with my steed. I am running on a foreign planet. The land is charred black by a constant flame, my home. It is amazingly hot, like I am running on the Azerothian sun, but it does not bother me at all. Running is easier than I am used to, I don't feel like myself. 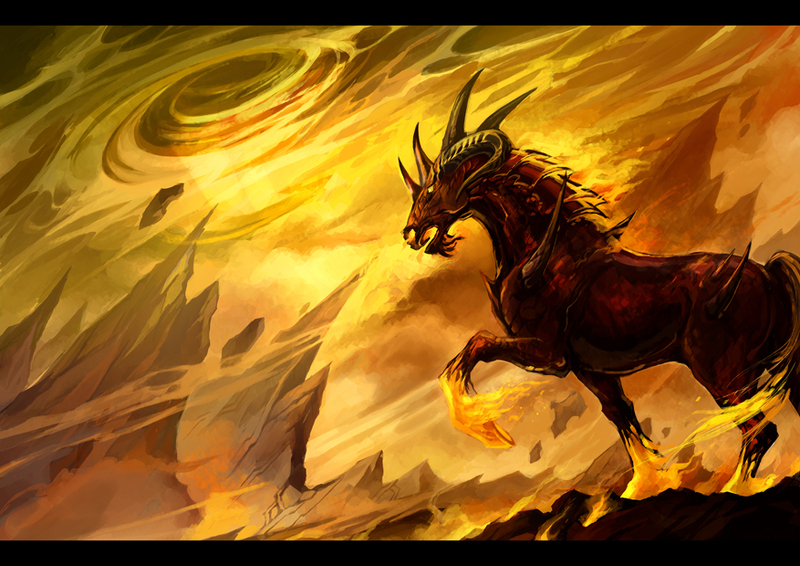 Looking down, I see that my orcish feet have left me and I now have hooves, but my hooves are also on fire. The spikes of my armor are visible, I am a dreadsteed. In the distance, I see my one. She is waiting for me. I bend down to run faster, and notice a glow forming around me. This white light envelopes me and my one disappears. Next all I feel is cold. It's completely dark around me, and I am freezing. I awake in a large concrete room. This angers me deeply and I find the individual that pulled me here. It is myself. I want to destroy myself for pulling me from my home, my one, my warmth. After a short fight with myself and friends, I realize this is empowerment. The Burning Legion have come to this cold, cold planet and helping this orc will kill them. The ones who have destroyed Xoroth. I awakened with a start, frightened and thrilled by what I learned. My bed clothes were soaked and I was both freezing and sweating. 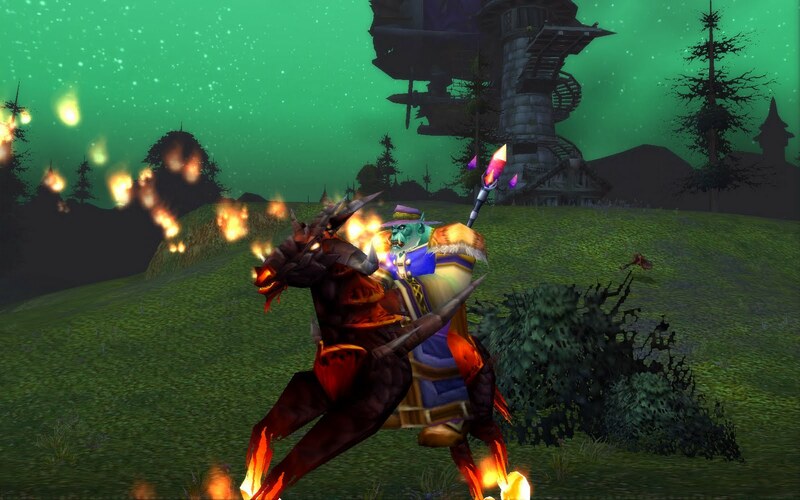 Since that time, I have made it my best effort to appease my dreadsteed and kill as many Burning Legion as possible.